Alyssa Kok (11 y.o. ), bags the Platinum Award and the Lee Foundation Festival Scholarship at the recent Singapore Performers' Festival. 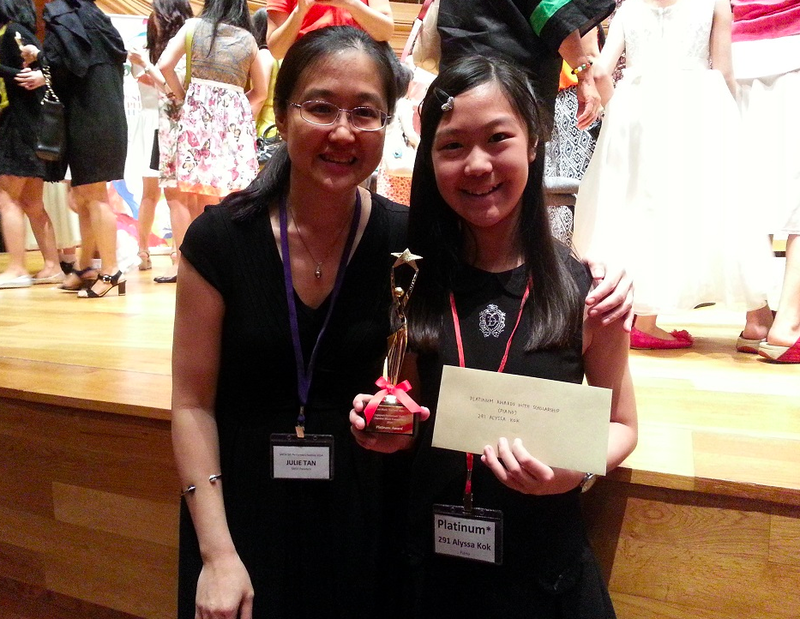 Alyssa Kok with Julie Tan (left), President of the Singapore Music Teachers' Association.